At Accountants Plus we offer the full range of business support services. Our services include advice and support on accounting software packages, IRD registrations, purchase of property, and business rescue strategies. At Accountants Plus we offer the full range of business support services including advice and support on accounting software packages, IRD registrations, purchase of property, and business rescue strategies. At Accountants Plus we can help you find the right accounting software solution to meet you needs. 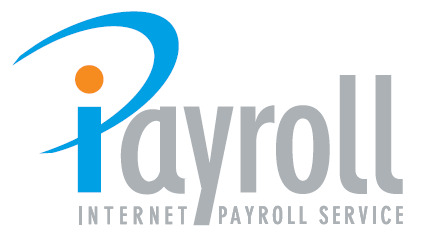 We offer full training and support for the following accounting and payroll software: QuickBooks, MYOB, Accomplish CashManager, Xero, iPayroll. For MYOB we are an Approved Practice enabling us to provide training and support on all MYOB products. We can recommend the MYOB package that will best meet your needs. Talk to us about your requirements. There are various Inland Revenue registrations that you may need to do over the course of establishing and growing your business. At Accountants Plus we can advise on your requirements and undertake the necessary registrations for you. At Accountants Plus we have the necessary expertise to assist you with the purchasing of property, both commercial and residential property. The importance of forecasts in making a property investment, whether it is residential or commercial property, cannot be emphasized enough. We are able to provide for you forecasts on revenue returns, your financial position and potential growth. Contact us today for more information on how we are able to assist you in the business of purchasing residential or commercial property. At Accountants Plus, we understand that businesses are often placed at risk by the rapid changes taking place in today’s world. Even businesses that have been very successful in the past are subject to this phenomenon. In many cases, companies find that there are limited opportunities to set aside daily work demands and attend to changes that must be made for the company to remain competitive. Through the involvement of an effective third party, challenges often become clearer, making effective remedial action easier to prescribe. Accountants Plus has successfully assisted many companies in need of rescue. Using our experience, proven ability and knowledge, we can take the pain out of such a predicament. Talk to us today about your business requirements.